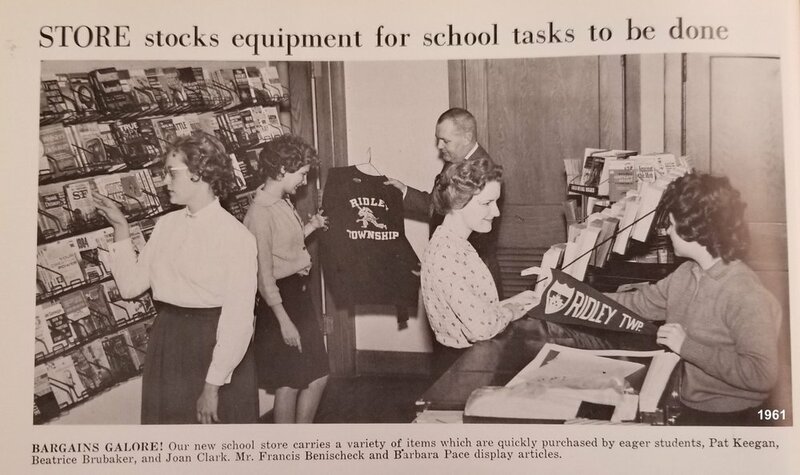 In 1961, the first school store was created at Ridley Township High School under the guidance of Mr. Francis Benischeck. Students were able to purchase practically any item needed for school activities. The store was easily accessible and open before, during and after school. Throughout the 1960's, gym equipment, paper-back books, and other necessities were sold. Mr. Benischeck continued to run the store throughout the 1970's. Students learned how to count inventory and sell merchandise. School supplies, popular novels, bus tickets and gym uniforms were all available for purchase. Students in the 1980's were able to earn money while working in the school store. Under Mr. Stanley Swider, they earned minimum wage and worked at least 20 hours per week to sell merchandise and assist in managing the finances. More apparel was sold in the 1990's. 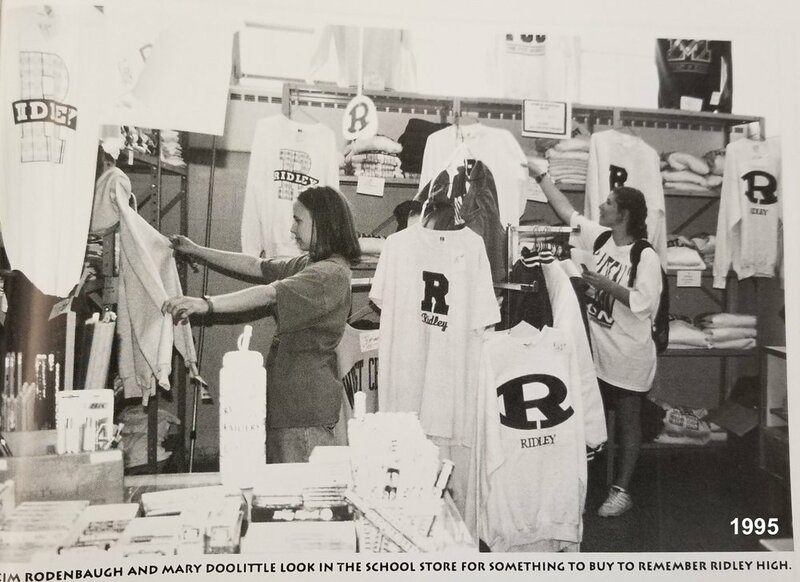 Students would purchase clothing in an effort to remember Ridley High, their alma mater.